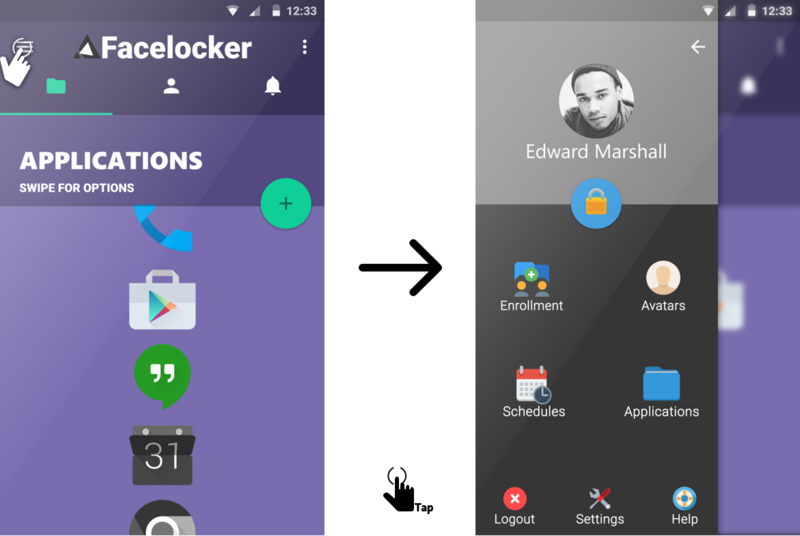 Facelocker is a native Android mobile app that uses Face Recognition to authenticate the user of a smartphone. 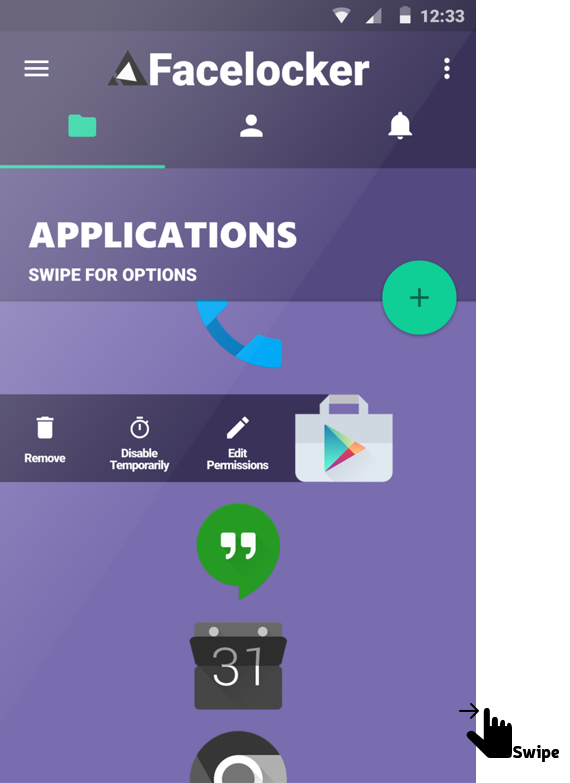 The app allows / denies access to the phone itself (phone lock) and / or to specific mobile apps. The user is able to disable the security features enforced for an application permanently or for a limited period of time. The user can define (add) the mobile apps that are protected by Facelocker. 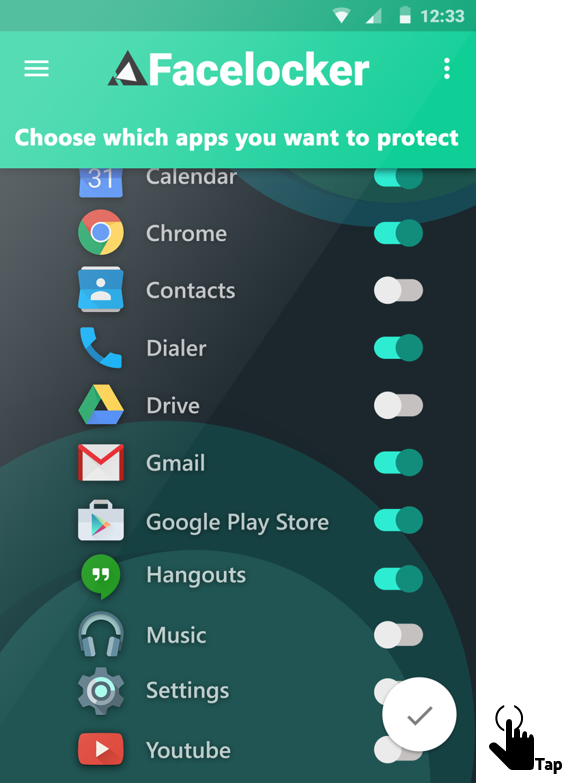 Also, the newly installed apps are automatically detected by Facelocker, and the user is prompted if he wants to enable protection for the newly installed app. The user can see all the mobile apps that are protected by Facelocker in a single list, and he can block / unblock every app with just a single touch action. Also, in the same list, he can remove apps, temporarily disable the block rule, or he can edit the permissions for a certain app by using a swipe gesture.